New York City Opera mounted Korngold's Die tote Stadt perhaps four times in the years that I was with the company, and I have never forgotten hearing a baritone colleague sing a beautiful rendering of Pierrot's Tanzlied for the first time. "God," I thought. "What a beautiful aria!" I would go stand in the wings just to hear it, right next to the eight ladies of the chorus who provided an enigmatic obligato, and watch said baritone steal the show from the soprano, the applause at the end of the evening confirming my impression. Pierrot's Tanzlied is sung here by Karl Hammes in 1930. It's a beautiful voice, one that was trained at the Conservatory of Cologne. Unfortunately, his recorded legacy is quite spare since he perished over Warsaw, flying a fighter plane that was shot down in the Second World War. We hear him here, however, singing radiantly before madness swept across Europe and destroyed everything in its path. Manuel García the Elder once said that 95% of the power of the voice was in its beauty. When I listen to Korngold's music, and hear Hammes sing it, I can only agree. That's what Alred A. Tomatis thought anyway. And you know what? I agree with him. It sounds like a radical idea until you find yourself teaching voice and observing students singing. What do you see? The spine responds to the voice, in fact, is the voice, but most of us don't think of it like that. Have you ever watched an amateur chorus do their thing when standing behind a quartet of excellent soloists? Take a good look at the head/neck relationship of the former and then the latter. You'll see that the soloists express a greater degree of verticality. Tomatis observed that the two little muscles of the ear - the tensor tympanum and stapedius - act like rudders, guiding vibration into the ear as well as integrating the action of the muscles of the body, this being flexion and extension. This is something I have experienced first-hand. While at the Listening Centre in Toronto in 1999 and 2000, I felt a strong reorientation of my spine towards verticality - i.e. extension. What was I doing to affect this? Listening! To high frequencies no less. Surprising? You bet. This brings me to the focus of this post. I read an article in the New York Times this past week about the work of Esther Gokhale, who does very interesting work in the use of the body, specifically, the alignment of the spine. The curious thing is that, after researching her work and watching a Youtube video of her 'method,' I found, to my surprise, that my posture mirrors her teaching - this after a decade of working with Tomatis' ideas and a vocal pedagogy founded in the teachings of the Old Italian School. I stumbled upon a curious book while looking for something completely different this past week while doing a bit of research at the New York Public Library at Lincoln Center (that is the interesting thing about research: you never know what you are going to find). The title? The Old Italian School of Singing: A Theoretical and Practical Guide by Daniela Bloem-Hubatka (2012). Well, how could I pass that up? So click-o-presto at Amazon, and the book arrived in my mailbox two days later. It wasn't inexpensive at $61 bucks, but this amount takes on a different meaning when one considers that a private voice lesson in Gotham costs $100 and up. Of course, in the latter, you have someone addressing you directly and guiding your ear and action, whereas, with a book you are left to your own devices. So, you are asking yourself: is this book worth the price? Can you learn something from it? I believe so. Daniela Bloem-Hubatka's book is a throw-back to an earlier era, the kind of which you don't see being written these days, with current emphasis on anatomy, physiology, acoustics and its attendant terminology. What will the reader find therein? Essential teachings on "The Attack," "The Breathing," "The Resonance," "The Mouth Position and Articulation," "The Registers" and so forth, all taken from historical documents, Francesco Lamperti and Manuel García figuring prominently. Well-presented, written in clear language without modern terms like 'onset' or 'formant,' Bloem-Hubatka sticks to what she knows, which is considerable. 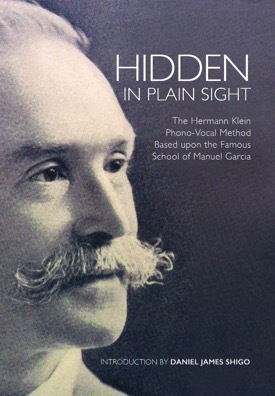 Bloem-Hubatka emphasizes the Coup de Glotte of Manuel García, which she credits as restoring her voice, her introduction to this controversial Old Italian School technique having come via a book written by Franklyn Kelsey (1891-1959) titled The Foundations of Singing (1950). Kelsey, a English voice teacher, had a respectable career singing bass roles at Covent Garden in the 1920's before teaching voice at the University of College of South Wales. 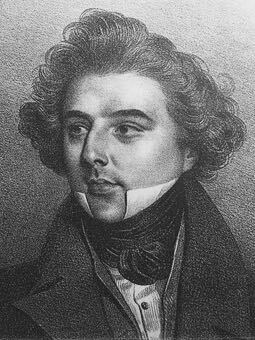 He also had an interesting vocal lineage, having studied with Marcel Journet, who studied with Louis-Henri Obin, the latter studying with Louis-Antoine Ponchard. The author also emphasizes the 'smiling' position of the mouth, which is, of course, not the same thing as a grinning countenance (though, interestingly enough, once the correct mouth position is obtained, one can sing with a multitude of facial expression). This raises the point. 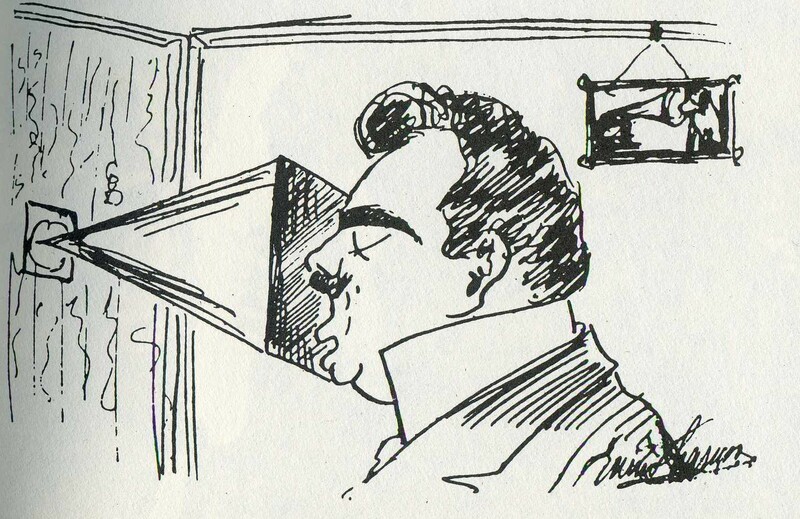 Do students observe themselves in a looking glass when they practice? Nope, I am sorry to say most do not! But guess what? This is exactly what Old Italian School students were made to do. I've written about it on these pages, but it bears repeating: when you can open your mouth correctly, that is, toward a smile, look and listen simultaneously with interest and friendliness rather than a blank stare and judgment, you will have learned a great deal. One can only hope that The Old Italian School of Singing (2012) finds a wider audience. Today was a sad day for the New York Public Library at 42nd Street. I was there to support The Committee to Save the NYPL which was protesting the trustee's flawed plan to turn what is now a great research library into a circulating collection, the first step towards that end having already taken place with with the removal off all the books in the library's historic stacks, which are now in a warehouse in New Jersey. There is much to be concerned about with the current plan, first and foremost the fact that the trustees have operated in secret, with no oversight and nary a public hearing. Think about it: $300 million or more is going to be spent - $150 million of which will be taxpayer dollars - to gut a historic building while outlying libraries will be shuttered and sold off, in a system that is already suffering from severe cuts in staff and acquisitions. I know this first-hand having been a regular patron of the Lincoln Center Library of the Performing Arts which has seen a drastic cut in services. What is disheartening is that, without significant opposition- say a Jackie Kennedy Onassis who single-handedly stopped the destruction of Grand Central Station, the trustee's plan will probably be implemented. Why? 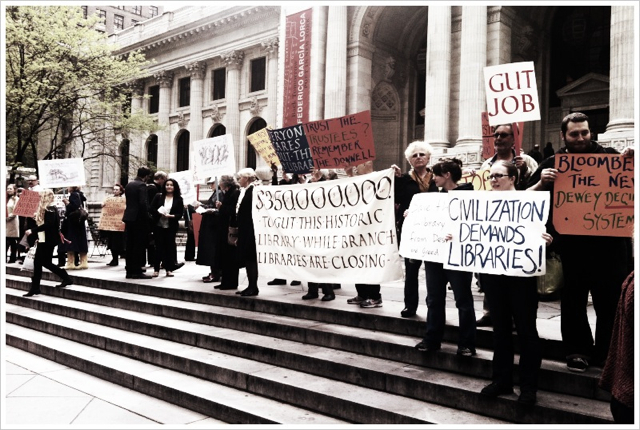 Does anyone really care about the NYPL? I think not. We increasingly live in a world where most people have been lulled into thinking that everything is available on the internet despite evidence to the contrary. We think internet access means total availability of everything we want to know, which is not the case at all. The sad truth of this story is that, historically speaking, Americans value commerce over culture, music and the arts. 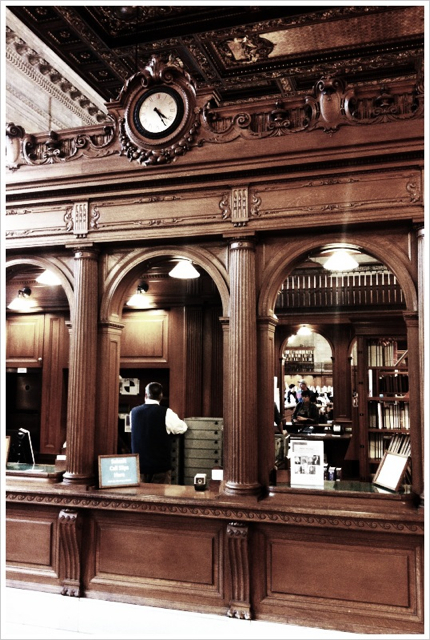 The New York Public Library? It is considered an elitist enterprise like the opera or symphony, all of which should, in our nation's increasingly for-profit mentality, must pay its way. Does the public support it? Not really. 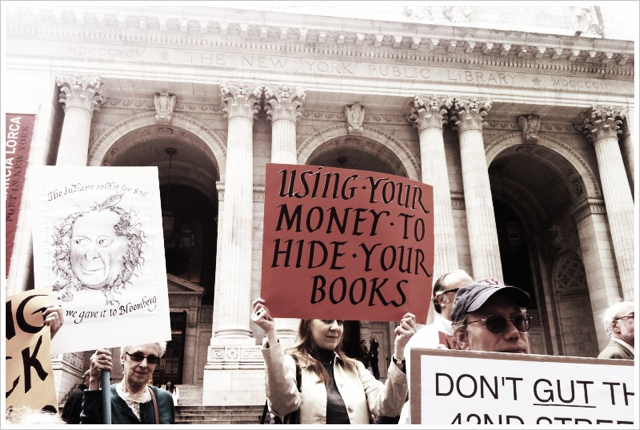 So the current debacle is about Real Estate, nothing more, and the profit the NYPL system can make from the sale of the same even if it means compromising its mission. I am certain that the current trustees see themselves as the savior of a citywide library system, one that is contracting for lack of funds. The lack of itself? 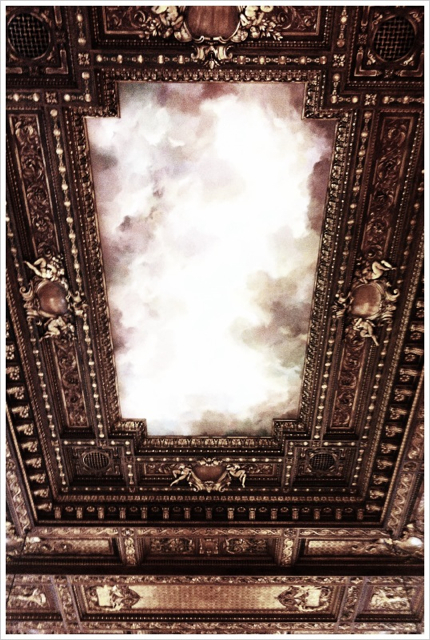 It highlights our nation's priorities which seems intent on dismantling the great cultural institutions of the 19th century, the library at 42nd Street being but one example, the National Archives being another (it has removed many of its records from the building). I encourage you to go the link for The Committee to Save the NYPL in the first paragraph of this post and educate yourself. Then, after doing so, I encourage you to take action by writing the trustees, the mayor, the City Council and New York's two senators, which, ironically, can all be found via a moment's googling - and therein lies the problem as already mentioned. Victims of our own success? I think so. In the end, this is a people vs books matter, which is clear from the proposal that is to be unveiled this week concerning the much missed Donnell Library (also within the NYPL system) which has been closed since 2008 and is slated to reopen in a high-rise at some point in the future (see here) but has been vastly reduced in size and scope. 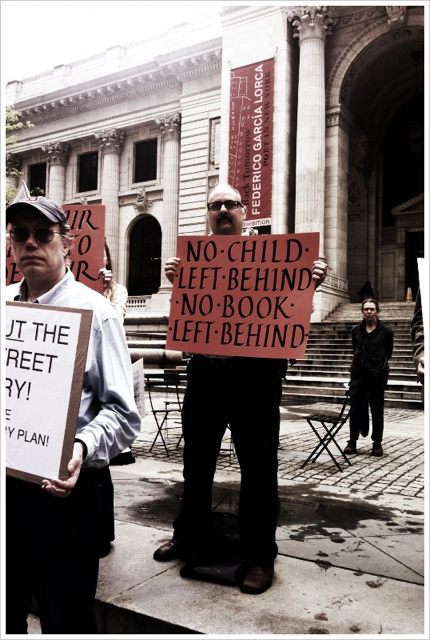 The trustees of the NYPL seem interested in the former over the latter. Is that a bad thing? Yes, when you consider that the history of a people has everything to do with how it values its records, books, information and access to the same. 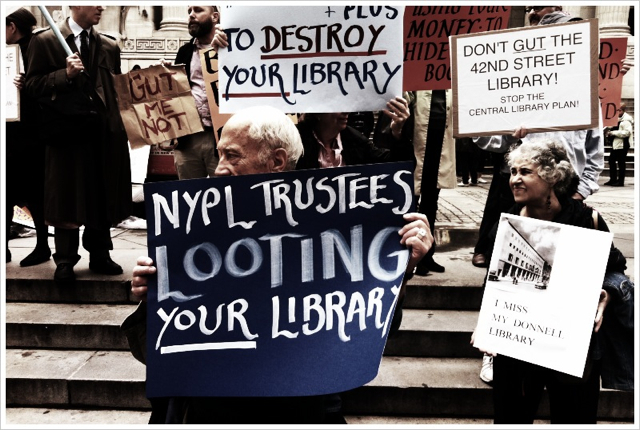 The trustees will have turned the mission of the NYPL on its head and destroyed a historic building in the process. I fear that, with all the access we think we have (which is an illusion), we are entering a dark age. I am very sorry that Neal's Historical Recordings, which has been in the right hand column for more than a year, will no longer be available to my readers. Its all about copyright law, plain and simple. Congress changed copyright law not that long ago to the benefit of the recording industry with little thought regarding the preservation of historical recordings, the result being historical recording enthusiasts are loath to share their passion publicly for fear of legal consequences. Until Congress restores 'public domain,' historical recordings will not longer be accessible to the public. For more details, I encourage you to read this article by Tim Brooks of The Association for Recorded Sound Collections. Sometimes the simplest things are the most confounding. 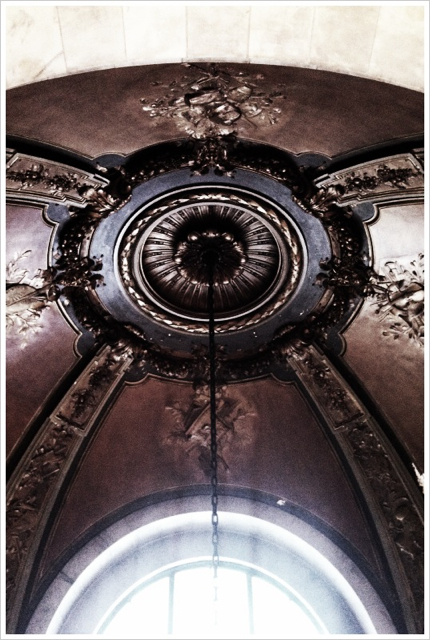 Consider Giulia Valda's words in the previous five posts concerning Lamperti's "breath." She tells the reader that it has less to do with the air in one's lungs and everything to do with poise. Valda doesn't include it for some reason, but there is a simple exercise, which, when executed, one can feel both, that is, poise and breath together. What is it? Panting. Not the panting you perform in the yoga studio when the emphasis is on the exhalation, but rather, the panting that is done when the emphasis is on the inhalation. This is what Lamperti taught his students to do. When you can pant with ease, the emphasis on the inhalation, feeling the ear's connection to the body from head to pelvis (the vagus nerve runs from ear drum to urogenital diaphragm), and the subsequent extension of the muscles of the body that is engendered by the activity, you will have learned something of Lamperti's breath. The trick, of course, is to sing with this feeling. Another trick is maintaining this feeling throughout the phrase. Still another is increasing the feeling as the scale ascends. The feeling of panting? This is what Valda means when she tells the reader that the breath is separate from tone, vowel and instrument. The essential feeling of extension of the muscles of the body is dissipated when the tone is breathy. Breath and breathy. Yes. These two words can confuse the reader. One inhales to feel the breath, but one does not sing in a breathy manner. One sings on the breath, but not with the breath. Such was the expression of the Lamperti School. One might as well say that one sings with the muscles of the body extended, but that would be even more confusing even though accurate. What is the full extension of the muscles of the body? The body's expression of an open ear. If you've read my posts on the open ear and the work of Tomatis, you have some idea of what this entails. But this too can be confusing. So let's be simple. Instead of some hard to achieve academic who-ha, let the student of the Old Italian School pant with emphasis on the inhalation. This will teach the meaning of Lamperti's method. In concluding my articles on the Lamperti Method of Singing, four of which have already in the Musical Courier, I wish to make a résumé of what has gone before, this article to be a finish of the whole subject—if one can ever call the subject of singing finished. 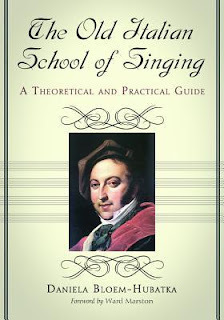 It has been my endeavor to explain clearly the different points in the art of singing in their order as they unfold—each point being of such importance as a preparation for the next step that they must come in their regular order so that the pupil has a clear understanding and is not confused by rules and explanations out of place. That these points have been understood and appreciated has been brought home to me most forcibly from the many letters I have received from professional singers and singing teachers all of them thanking me for the benefit my articles have been to them and for the clearness with which the different steps have been explained. Singing is an expression of the beautiful by means of inflections of the voice, and for the cultivation of the voice more is required than natural gifts. There is need of a constant and serious study of breathing and correct pronunciation. It was said by the old masters that the art of singing is the art of breathing. Therefore the first article I wrote was about Breath—that is after the article of a general explanation of the Lamperti Method. The separation of the breath from the tone. The separation of the breath from the vowel or diction. The separation of the breath from the instrument. Namely: One must attack and carry the tone free from breath; pronouncing the vowel free from breath, articulate the consonants without using breath and keep the instrument away from the breath, thereby, when the voice is "placed," to use the general expression, the student sings on the breath and speaks on the breath without interrupting the flow of the breath. Hence the tone is always pure, floating on the breath and there are no breaks in the voice, as there are sure to be when the training if the voice is based on three separate registers. There is only one register, one place, one way to sing. There are three different resonances, which have been misunderstood for registers of the voice. Chest resonance, medium resonance, right in the face, and head resonance. The instrument I have spoken of before must be held in one place, high, by the mind. The breath is supported by the instrument and the vowel is attacked high on the instrument which separates the tone from the breath. This action keeps the tone floating on the breath, but not with it. By continued practice of these rules—with a teacher who understands them—the pupil becomes efficient in executing the most difficult passages written for the voice. It is impossible for a pupil to learn to sing from reading an article which, while giving rules, is necessarily like a text book and can only be used as such; for while the fundamental rules of an exact science can be given, it must happen that in the development of these rules, there are constant changes in the mental concept of the rules, although the fundamental points of the rules never change themselves. It is the expression of these rules that brings the apparent change in the concept and produces the finished singer. Each of these rules could be expanded and developed in the text books as they must be in the expansion and development of a voice, if time and space permitted. But it must be understood that these expansions and developments can only be successfully carried out with the pupil by a teacher who not only understands the rules, but who can also illustrate them. I have attempted only to give the fundamental idea of what Lamperti called the science of the Art of Singing. It is only necessary to note the number of pupils that Lamperti turned out as celebrated to realize what a science of teaching he possessed and how skillfully and thoroughly he was able to impart that knowledge to the many and, of course, varied mentalities, bringing out all the force of character that resulted in such finished artists. Alboni, who at about the age of eighty sang in Paris not long before her death. She was a contralto, and the occasion was a National Charity concert at the Trocadero. Mme. Stolz, soprano, who created the part of Aida, and Mme. 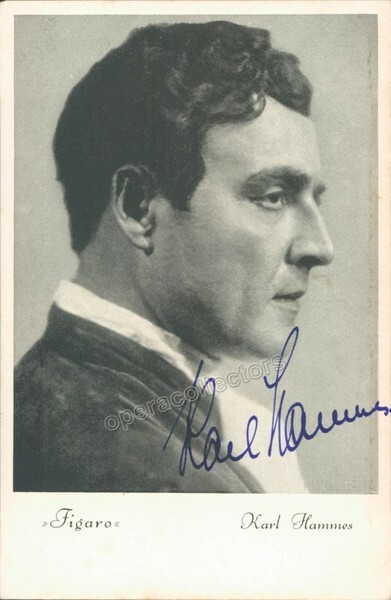 Waldemann, for whom the part of Amneris was written. She had only a short career, as she married a nobleman; she is still living. La Grange, Mme. Artot, Jeanne Sophie Lowe, Sofia Cruvelli, who was on the Paris stage during the time of Napoleon III. Mme. Mirati, Mme. Gruna, Mme. 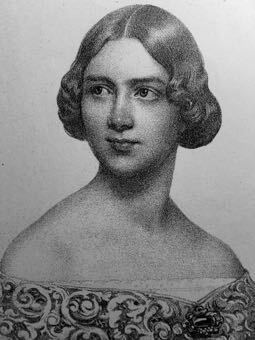 La Borde, who was the teacher of Calvé, Mesdames Peralta, Timberini, Paganini, Poelau, Goldsberg, Orgeni, who taught singing, Derevis, Duval, Dejani, Vivis, Vander, Miller, Riserelli, Angelica Moro, Isabella Alba, Suardi-Repetto, Castelli, Vicini, Stoika, Demi, Tagliani, Flori, Vanzini, Van Zandt, Albani, Valda, etc., etc. Among the men who have world wide reputations are Aldighieri, Derevis, Didot, Italo Campanini, brother of Celeofante Campanini, director of the Chicago Opera Association; Vialetti, Collini who, although he had been on the stage for thirty years, always took a daily lesson of Lamperti when he was in Milan; Everardi, Guidotti, Bertollini, Mariani, Palmeri, Shakespeare, Osgood, Nieman, etc., etc. No teacher in the last century ever brought out so many artists who were acknowledged celebrities as Lamperti. The above is only a small list of the well known singers from the studio of this great master. Why was this? Because he had a perfect method of teaching—he knew everything there was to know about the breath, that great fundamental breath principle upon which singing is built. He knew the instrument which produces the voice its possibilities, its characteristics, its weaknesses and where they needed either to be made stronger, or to be eliminated altogether. He clung to these principles all through his years of teaching up the to very last, wherever and whenever he found a pupil who would religiously follow him. He had the true genius of imparting what he knew—the genius so often denied to teachers and the lack of which makes them unfit to teach. Lamperti was a great musician with a perfectly trained ear, and in the cadenzas which he wrote for each individual voice, he never diverged from the musical theme at the same time bringing out the best natural gifts of each pupil. In this he was specially gifted. As an instance of what he wrote in the way of cadenzas, I may state that I have at least 150 cadenzas, for the flute for the Mad Scene in "Lucia"— written for different artist-pupils according to their special talent. In our school today we are carrying out these principles and the possession of the mass of manuscripts that belonged to Francesco Lamperti has been of untold value and aid to our pupils, proving to them the fact that as Lamperti taught me, so I am teaching them, carrying on the traditions of this incomparable system. I will conclude with this advice to all students. Study conscientiously and constantly technic as laid down by these rules. Technic! technic! technic! until it is not longer technic, but arrives at the goal of perfection. Note: This article is the fifth in a series of five written for the Musical Courier. You can find the other four here. This article on Diction follows in a natural sequence my other articles that have appeared in the Educational Section of the Musical Courier. The first one was "The Lamperti Method of Teaching Vocal Art;" this was followed by "Breath and How to Use it," and "The Instrument and How to Play Upon It." Diction is founded on the vocal sounds. No matter what language one is singing one must always carry the word on the vowel sounds of that word. The vowel is the important part of the word that a singer must know and use- must sing on. The foundation of all languages is the Latin, hence the Latin or the Italian vowels are the fundamental principles upon which all other languages are constructed, therefore the essential part is the vowel. "The true perfect Italian pronunciation is the result of a judicious mixture of the Tuscan and the Roman. Joining the energy and the incisiveness of the latter to the sweetness and grace of the former, we arrive at the desired result. The old proverb, "lingua toscana in bocca romana" (Tuscan language in Roman mouth), may be adduced in confirmation of these remarks. "It must not be supposed that the declamation of the lyric stage requires the same qualities of pronunciation as that or the ordinary theater. It will be seen at once that the difficulties in the way of the former are greater than those of the latter. The difference between the pronunciation of the language spoken and sung is this: in the spoken language the intonation is free, and the declaimer chooses the inflection of voice which best pleases him; but in the other, besides all the difficulties peculiar to the spoken language, there is added this, that the intonation is fettered, being bound to a particular note, and confined moreover within musical measure or time. "There is also another difference, which can only be pointed out to pupils by an experienced professor of singing, and which is due to the various ways in which the voice may be emitted; a difference which can only be explained practically, depending, as it does, upon incidental requirements of acoustics. "I will do my best to explain what should be aimed at, and what avoided, to render the pronunciation distinct and pleasant. If I am diffuse upon this subject, it is because so much of the perfection of singing depends upon the proper comprehension. I shall therefore endeavor to describe with the utmost minuteness the motions of the lips, tongue and jaws in the articulation of the various vowel and consonants which constitute words. Thus the artist, by being made aware of his defects in pronunciation, will possess a means of correcting them. "The difficulty in giving the proper pronunciation to consonants and vowels is increased by ignorance of the mechanical movements of the tongue and the whole apparatus. It often happens that a person has an excellent pronunciation in speaking, but a very different one in singing. "In most of the treatises on singing the whole question of pronunciation has been either omitted or only partially discussed. It is to supply this omission, and to remedy defects which have sprung therefrom, that I propose to point out the mechanical movements required in order to obtain a good pronunciation of the vowels and consonants. The task is arduous. Nevertheless I will attempt to describe as accurately as possible the movements indicated, so that the singers who wishes to pronounce well may derive material assistance from what follows." I have followed the above requirements strictly just as Lamperti himself taught. u pronounced as the English oo in too. The vowel sounds are carried on the different positions of the jaw. There are three positions of jaw for all vowel sounds. First position of the jaw. Open the mouth, lowering the jaw to the fullest extent of the two vowels a—ah and o—oh. The only difference between these two vowels is that for a the pronunciation depends entirely upon the lowering of the jaw, whereas for o, not only must the jaw be kept in the same place as for a, but the facial muscles around the mouth are brought into use, so that the lips are slightly protruding and the mouth is of an oblong shape, great pains being taken that the position of the jaw is not changed but kept at its lowest position for both vowels. 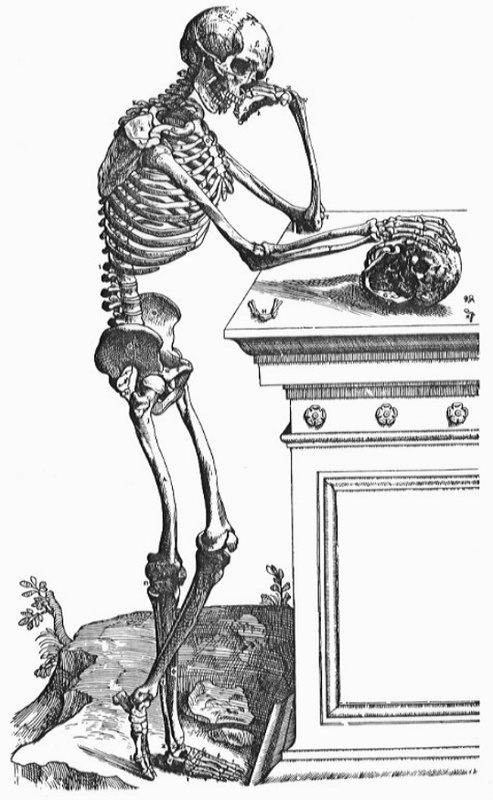 Second position of the jaw. This is the natural position of the jaw when it is in repose, for the jaw is not used in pronouncing i and u. To pronounce these vowels, i or e, as it is in English—for the Italian i is always e—the high cheek bone muscles are brought into play by raising them as in an easy smile. For u the same natural position of the jaw is kept as for i—only the lips are protruded as in a pucker of a whistle, care being taken not to move the jaw at all, simply the lips. This give us four of the vowels, two on the first position—a and o—and two on the second position—i and u. Third position of the jaw. This position for pronouncing the Italian e is produced by lowering the jaw two-thirds and then holding it a little back with the chin muscle held firmly against the chin. In fact, for all vowels, the chin muscle must be held firm against the chin to get the full resonance of the vowel sounds. These three positions, together with their accompanying facial muscles, are the foundation for all vowel sounds—not only for the Italian but for all other languages. I repeat, there are only five sounds in the Italian language, but in other languages there are many combinations of vowel sounds, but they are all founded on these principles, never changing. As I have stated before in my previous articles, most exercises are sung on the vowel a, pronounced ah, for the reason that it is the vowel that is most useful for the development of the voice and for the opening of the throat. After long practice on the vowel a it is permissible to pass on to the more difficult, always being careful to keep the throat open, never changing its position. This pronunciation of the vowel and the position of the jaw is an exact science, and when once a pupil understands it thoroughly and practically, a great advance has been made in the art of diction. If these rules are adhered to, there is no difficulty in enunciating clearly and distinctly, in any language, providing the teacher understands the vowel sounds of each language—which all teacher should understand thoroughly. The consonants are the same in all languages and are never sung upon. The three consonants b, p, and m are made by using both lips. V and f use only the under lip against the upper teeth. Q, hard g, k and x use the back of the tongue against the roof of the mouth slightly, not hard. All the other consonants, that is c, d, soft g, l, n, r, s, t and z, use the tip of the tongue against the roots of the upper teeth. These comprise the full alphabet of whatever language and are always the same but great care must be taken never to use the breath for the pronunciation of the consonants. Long practice and careful study of the mechanical means by which consonants are produced lead to their accurate pronunciation. Too little attention is paid by teachers and singers to this question; it is either omitted or is only partially studied. In many cases both teacher and pupil are so anxious about tone that everything else is subservient to it and no attention is given to the words of the song. It is to supply this omission and to remedy the defects that have sprung therefrom that I point out the mechanical movements required in order to obtain a good pronunciation of the vowels and consonants without interrupting the pure tone. The task is arduous. In order to achieve the desired result, I advise pupils to make use of a looking glass thereby they can see their jaw in the correct position for every vowel, and also that the facial muscles accompanying the vowel are used properly. In this part of the work one can never be sure unless one sees. The lack of proper diction and the necessity for some improvement in that direction have been brought forcibly not only to my attention, but to the attention of the entire public by the recent production of an opera in English. The critics were unanimous in their reviews of the first performance, namely, that not one of the singers had a diction that enabled the audience to distinguish a word of the libretto, and therefore the opera might have been just as well sung in a foreign language for all the benefit that an English speaking audience received. There is no reason for this occurring, for English can be sung as correctly, as beautifully and with a pure a tone as an Italian, if the singer and the teacher would give the proper time and study necessary for this result. I repeat that the task is arduous and inexhaustible. That is why the old artists used to be able to enunciate as well as sing beautifully; they gave the proper time and work to this achievement- a fact that the present generation does not seem willing to give the time, nor to have the desire for the work necessary. I state this fact from my own experience as a teacher. "Pupils seem to think that after six month's lessons they should be ready to prepare for a recital including various languages." There is a gradual growth based upon the right principles to be worked upon be teacher and pupil. My next article will be a résumé of the whole as a finished product. Note: This article is the fourth in a series of five written for the Musical Courier. You can find the other four here. The art of singing may be likened to a flight of stairs up which the pupil ascends slowly. Each step of these stairs has a special meaning, and the pupil must understand that meaning perfectly before being allowed to go up to the next one; must know each step in order and understand it to get results. Teachers and singers very rarely consider the human voice as an instrument. How often we hear a person say, "I have a voice, I will sing." Or some thoughtless friend says, "You have a lovely voice, you must sing." And then if the person has any musical knowledge or intuition he starts off, as do many instrumentalists, to sing by ear, to catch a tune or if he gets to a teacher, to imitate that teacher. Singing is an art, a science. An instrumentalist has the advantage of having an instrument upon which he plays. He has, of course, to understand his instrument. which is mechanical and ready for him to play upon, and he has to earn how to play on it. Both of these are scientific (that is, the instrument and the faculty of playing it) and he has to study both. It is already conceded that to become proficient upon any instrument requires much time and labor. Now when a person decides to take up playing of an instrument, the first fact that is impressed upon him is this very fact that time and labor are necessary. He does not expect to become a great player in a few months. He know that with the greatest diligence with daily work and practice, not only months but perhaps years must be spent gaining the control of the particular instrument his is studying, and he also knows that it is not allotted to every one, no matter how studious, so thoroughly to overcome all the difficulties as to become masters of an art. The greatest pianists and other instrumentalists do not cease to work after they have achieved greatness, many of them practicing for hours daily to retain their proficiency, even if they do not make and perceptible advance. Why is it, then, what while people are willing to devote all this time to learning to play a mechanical instrument, knowing what is necessary and the only way to learn, when it comes to the voice and its use they are not considered in any practical or rational way and no scientific principle is considered a requisite? Of course, I am speaking now of recent years, when every one seems to think that the old 'bel canto' is lost. Why is it lost or considered as being lost? It is because the average teacher does not teach it, nor the average pupil want to work for it. They must have some shorter road- because they think there is one. Never was there a greater mistake. There is no short road to fame in any of the arts. The first thing to teach students is to explain and show them what their instrument is and its relation to the voice. Then, when it is understood what the instrument is, the teacher must show them how to play upon it or use it. To do this the teacher must understand the law governing the instrument. The instrument itself is composed of human muscles and they are few and simple; they are only three sets which have to be considered and studied. First, the lowest abdominal muscles which govern the breath or act as a support for the breath, called in Italian the appoggio—the great appoggio. Secondly come the shoulder muscles supporting the chest and lungs. Thirdly, the jaw, facial and throat muscles. These muscles comprise my instrument, or all that a singer should recognize or study in relation to voice production. That is the physical part; all the rest is mental. By knowing or by studying to use the jaw and throat muscles we open the throat, an essential and fundamental necessity, for no one can sing correctly with a closed throat. This is more difficult for the Anglo-Saxon race, for their throats are closed by their language, or rather by the way they speak it, custom having brought about a carelessness in proper speaking or enunciation. The English people speak English better than the Americans do, but they also speak with closed throats, due to the predominance of consonants in their language. In my next article, which will be upon diction, I shall go into particulars of enunciation. If pupils do not speak correctly, the teacher must also train the speaking voice. Singers must sing as they speak, so they must speak correctly in order to sing correctly; they must know the art of speaking. It requires much study and practice to understand this so-called instrument. The student must have a perfect knowledge of how to hold these muscles and must also understand their action before attempting to play upon them. That takes time. The playing on this instrument must be absolutely mental. The instrument in place, thoroughly understood and controlled by the pupil, gives an open channel through the throat for the column of air—of which Lamperti speaks so much in his "Art of Singing"—to pass uninterruptedly, and it is upon this column or air that the voice floats. The attack and sustaining of the voice is entirely mental and must be produced without the physical use of the breath in order to have the tone perfectly pure. That is, the tone must be carried on the breath and not with it, when it will produce the wonderful legato which is so much talked of and attained by so few. This instrument when in place (that is, the third set of muscles, those of the jaw and the throat), give the foundation of a principle sounding board which rests above the soft palate, and attacking a vowel, principally the vowel "A" is pronounced by the Italians (like a in the English word "far"), helps to open the throat. This would be pronounced up and in on the breath, which produces a reflex action instantly on the facial resonances, giving a perfectly round, pure tone. Most teachers, not understanding or knowing this, teach the pupil to attack in the frontal resonance—to use a French expression of the French school, "dans la masque" (in the face)—not knowing or realizing that this frontal resonance should be a result emanating solely from the attack on the back sounding board, another instance of mistaken cause and effect which I have mentioned in my previous articles. The perfection of the playing upon this instrument depends entirely upon the development and the continued application of the pupil under the guidance of a teacher who understands these principles thoroughly. The mental attitude is of the greatest importance is of greatest importance because the principle work outside those muscles which comprise the machine, and which is the only part of singing that is purely physical, is, as has been said and repeated, entirely mental, and the pupil must accept these principles as set forth by the teacher, and work them out out from a mental standpoint, without personal opinion or opposition. In other words, the pupil must be in entire sympathy with the teacher and with the instruction that is being given, and be in an entirely receptive mood. To have a mental opposition to what the conscientious teacher is laying down as a law, a law that experience has shown to be absolute, only hinders the progress of the pupil, who should, if studying seriously, acknowledge and appreciate that the teacher is using all the skill and knowledge of experience to further the interests of those studying with her. Half hearted allegiance to a teacher is discouraging from every point of view. Take your teacher's instructions and opinions upon trust, believing them implicitly until you find from your own experience and progress how absolutely they are founded in the truth. In this way alone can rapid and satisfactory progress be made. There are the fundamental principles of the playing on this instrument, which we call voice. As with any other instrument, as soon as the pupils gain a knowledge of the working the instrument they see its unfolding possibilities of varying and enlarging that knowledge, and so are led by the teacher through all the various gradations, ever advancing onward until they reach the goal for which the teacher has aimed, knowing it was there to be found, the goal for which they have sought and worked earnestly and faithfully. What can be a great reward for a teacher than to see the growth of this human instrument, and to watch its development to its highest and greatest power? To see the mental powers develop, to see the mind unfold and conquer the physical, to see the instrument so manipulated and played upon that it shows how thoroughly each step in the progress has been understood, repays and rewards the teacher for many of the fatigues inseparable from the lessons. The next article will be upon Diction, which will take the work another step further, enlarging all that has gone before in its proper order. Note: This article is the third in a series of five written for the Musical Courier. You can find the other four here. This, my second article will deal exclusively with the subject of breath control, which is the most important of all subjects to a singer—and the one that is the least understood. The so-called "art of breathing" is almost always represented or at least badly explained because the subject is one that is not understood simply and clearly. It is not the way we breathe, but it is the way that we control the breath that matters. Breath represents tone and tone should be left free to float. Tone, the real tone, must be pure and not mixed at all with the breath. Tone is produced by the proper attack of the vowel, and vowel, in order to produce the pure tone must be attacked, to quote the great Professor Lamperti, "up and in on the breath." And only by this way of attacking can we produce a pure tone, all other ways of attacking can only be attacked with the breath, thereby producing anything but a pure tone. This is what Lamperti taught, and so did Trivulsi, who was older than Lamperti; they were the only two teaching this method and were the two last exponents of what is now usually alluded to as the "old Lamperti method," which really means the Old Italian method. But I am sure that Lamperti would have resented its being called a "method" as that would appear to indicate that there were many methods of singing. To Lamperti there was but one method of singing and that was the Italian handed down through the great teachers, and of which Lamperti may be said to have been the greatest, as he was also the last of the really great. Lamperti taught his pupils how to sing; he had no thought of their being any other way to sing correctly. With him it was like the laws of the Medes and the Perisans, there was no turning to the right or the left, there was the straight road to be pursued to the end. By experience in teaching I have found that the less said about the breath the better. There has been so much said about breath and breathing that many pupils even before they begin their lessons have heard the subject discussed to and fro, until it has become a bugbear and they anticipate difficulties to be overcome that will demand all their strength of both body and mind. In singing, as in speaking, we breath just the same, but everyone seems to be instilled with the idea when they begin to sing of forcing as much air into the lungs as they can, taking a "deep breath" they may call it. But the fact is that they are not really holding air as much as they are holding muscles, thereby preventing the free use of the breath. As breath represents tone and tone must be free, necessarily breath must be free. In speaking we take the breath naturally and easily. My advice to beginners of singing is to tell the pupil to poise the breath as high as possible and then attack it on the breath by saying the Latin a (ah), which is the one vowel that opens the throat when pronounced correctly and properly. Tetrazzini in her book makes the truthful remark, "Do not interrupt or interfere with the flow of the breath," which corresponds to Lamperti's mode of expressing the same, as follows: "The breath represents the column of air upon which the tone floats." Explicit explanations are the result of cause and effect or result and to produce an affect or result one must always go back to the cause. We talk about breath and tone and poise and all the other details of the art of singing, but above and back of all, the great control of all is the mind- we direct the mind. It is through our mind that we must grasp all the essential points, unless the mind grasps and understands the lesson is lost. So it is the mind that the capable teacher is instructing when she talks of poise, of breath, of tone, and points out that there must be a perfect understanding of their relations to each other- inter-relations it might be called. The teacher must understand exactly what these relations are, what each one means and how they apply to singing. Given an intelligent mind to work upon and what a pleasure it is for the teacher to guide and direct. The alert mind responds quickly and eagerly and the pupil is said to "make progress." To train the mind and through it develop the beautiful voice is not a task, it is a reward for which the teacher hopes and to which she looks forward through, oftentimes, many discouragements. But when the result is obtained and the finished product stands forth, the faithful teacher rejoices in the culmination of her labor and views with pride the developed mind that has brought about the result. Tone is the result, the cause is the attack of the vowel on the breath which brings that result. If attacked properly, as Lamperti says, "in and up," it produces a pure tone. The English speaking races have many bad habits to overcome. To begin with, in fact, the principle fault, lies in the throat. It is seldom that one is found with it open due to our language being filled with consonants, and also to lack of attention or education in pronouncing and study of vowel sounds. All vowels should be pronounced without breath. I may say the same of all consonants. But in singing especially, we sing on vowels supported by the breath, and this breath must not be interrupted in the pronunciation of consonants. The subject of breath is never ending, as it is inseparable with the tone and our highest goal is to produce the most beautiful and purest tone. I have worked to bring this method, which formerly was the only school of singing, down to a practical working basis, so that every one studying from an intelligent standpoint can grasp it and with it can produce the right result without fail. It is an exact science, but not one that can be attained without hard work and constant application. It takes just as much time to make a singer as it did in former years. The only thing is to find the right way, and then work. The teacher can only guide and show the way. The pupil must do his or her part. 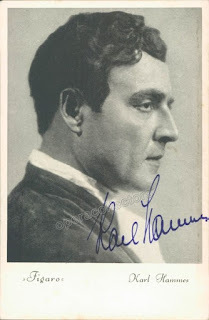 Ten years was not considered too much time to devote to the training of the voice for an operatic or any public career by the older Italian master; and that meant constant study, never ending work and practice. No point in the work can be slurred over; each forward step must rest on the solid foundation of the previous one. Passing to a higher point without understanding of all that has come before means disastrous failure. One bad habit may overthrow many good ones. The teacher has to be constantly on the alert. Today the manner of teaching used by the old Italians would not be tolerated for a moment, as they felt themselves autocrats to scold, to swear, to even "slap" the unfortunate pupil who misunderstood or misapplied their instructions. Patience was a virtue they did not possess, and they considered it a waste of time to continue to teach such pupils as did not study and advance in the art. I wish particularly to impress the pupil with the fact that in studying, the first and all important thing to be considered is the breath. That is the foundation. Upon that we can begin to build the superstructure. One of Lamperti's pupils was Gayarré, the great Spanish tenor, who created the tenor role in "Giaconda" at the Scala in Milan in 1875. 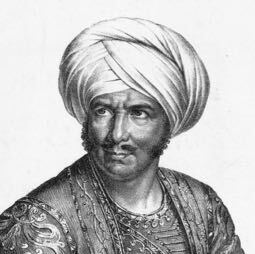 One of Gayarré's greatest operas was "Lucrezia Borgia," and as there was no great aria for the tenor in that opera, Lamperti had him introduce the tenor aria from "Don Sebantino," which is most beautiful and difficult. In this aria he had an opportunity to display the length of time he could poise and sustain his breath. At one point of the aria he had to take a high D, which he did standing at the back of the Scala stage. This note he took pianissimo, and as he walked slowly down the stage to the footlights he made a crescendo on the note, until when he was standing directly over the prompter's box it reached the fortissimo. He would then diminuendo back to pianissimo and finish with the D an octave below, finishing the phrase with plenty of reserve force. Any one knowing the size of the Scala stage which is the largest in the world, will know the length of time that was occupied. In Paris and London, where I sang with him, this wonderful example of what true legato singing means always, electrified the audience, who would stand in their seats and cheer him. That was an example of breath control of which both teacher and pupil had every reason to be proud, and serves as an illustration of what can be accomplished by the proper use of the breath and the proper attack of the vowel. This is the great fundamental principle and underlines the whole art of singing. My next article will be concerning the vocal instrument and how to play upon it. Note: This article is the second in a series of five written for the Musical Courier. You can find the other four here. 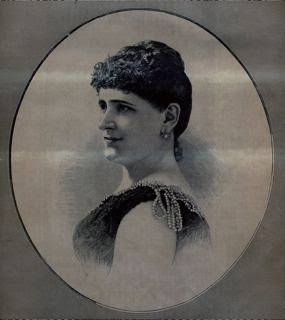 Born in Boston in 1850 to a "truck'man," Julia Wheelock began her musical studies as a pianist at the age of five. When her nascent lyric soprano voice became apparent in 1872, her uncle Merrill took her to Milan where she began vocal study with Francesco Lamperti. In 1877, when she was twenty-seven, Wheelock made her operatic debut as Giulia Valda in Malta, singing the role of Oscar in Verdi's Ballo in Maschera. Two years later, she sang the title role of Leonora in Verdi's Il Trovatore in Pavia, the house packed for all nineteen performances. Herman Klein heard her sing as a mature artist in London in 1886 at Covent Garden and had this to say. Verdi was represented, in the course of the month, by his Traviata, Trovatore, Ernani, and Ballo in Maschera. In the last-named opera yet another debutante appeared in the person of Madame Giulia Valda, an artist of American birth and Italian training. She sang the part of Oscar, and displayed therein a bright, sympathetic soprano voice and an excellent method. Madame Valda was very successful in both her airs, and her embodiment of the sprightly page well deserved the favour with which it was received. 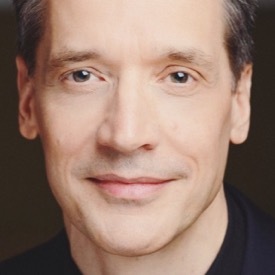 A performance of Don Giovanni, on June 24th, brought back in the title-character the gifted French baritone, M. Maurel, who had not appeared in England for several seasons. His refined and artistic assumption evoked the same approval as in the past. Other noteworthy features of this representation were Madame Valda's intelligent and expressive singing as Donna Elvira and Madame De Cepeda's fine rendering of the part of Donna Anna. Mdlle. Teodovini's appearance in the light soprano role of Zerlina was a mistake. I first wrote about Valda in a post on January 11, 2011 which featured a book written by Evelyn Hagara entitled Vocal Secrets of the Ancients (1940). Hagara went to Paris in the 1920's, looking for an Old Italian School teacher, and found her way to Valda after a chance meeting in a bookstore. There was no chance involved when I went digging for more information on Valda after that post. What did I find? Five consecutive articles written by Valda for the Musical Courier c. 1916-17 which outline Francesco Lamperti's teaching method. Remarkable documents for their time (studio practices of great voices teachers were considered proprietary information), they contain a great deal of technical knowledge. Written twenty-five years after Francesco Lamperti's death, and fourteen years before the younger Lamperti's maxims appeared in Willam Earl Brown's book Vocal Wisdom: The Maxim's of Giovanni Battista Lamperti (1931), we know there was great interest in Valda's words since they were republished several times. Of course, writing the articles may have been a calculated move on Valda's part; she had recently fled Paris for New York City (where she taught at the Ansonia) in order to escape the First World War, needed students and income, and the articles would have been an excellent way to make her name known. Reader be warned! Valda uses words like "breath" in a manner that sounds foreign to the vocologist trained with anatomical, physiological and acoustical terms swimming in his head. Her Old School talk is a window into another world. Giulia Valda, founder of the Lamperti-Valda School of Singing in Paris, is a war refugee at present in New York. She came here with her pupils shortly after the outbreak of the war, and is waiting to return to Paris. While here, Mme. Valda was asked by the MUSICAL COURIER to outline the Lamperti Method in a series of articles of which this is the first. Through many years of daily association with Lamperti, one of the greatest teachers of singing of the last century, Mme. Valda is more than qualified to carry on his own ideas of study of vocal art. Besides having studied under him daily for five years and coached with him for another five years, Mme. Valda is associated in her school with Mme. Lamperti, the widow of the Maestro. Herself an American, Mme. Valda was born in Boston and went abroad to study voice under Lamperti at an early age. Up to that time, from the age of five, she had been thoroughly grounded in piano, organ, and composition. For five years she studied under the master in Milan, when she made her debut as a young girl in grand opera in that city, singing Leonore in "Trovatore." Her immediate success led to many appearances in Venice, Bologna, Genoa, Pisa, Turin, and Rome. She then sang in the Royal Opera of Madrid, followed by three seasons at the grand opera in Paris. While singing in Italy she created thirteen new roles. She sang for nine seasons at Covent Garden in London, then came to America to sing in opera, during which time she appeared for four consecutive seasons at the Worchester Festival, and sang at the Cincinnati Festival with Lilli Lehmann at the first appearance in America of Edward Lloyd, the English tenor. She was engaged by the Abby, Schoeffel, and Grau Company the season that Patti and Tamagno the great tenor, where with them when they opened the Chicago Auditorium in 1889. There she sang in "William Tell," "Aida," "Lohengrin," "Trovatore," "L'Africaine," and "Otello," after which she appeared in these operas with the company at the Metropolitan Opera House in New York. Shortly after that she was cut off from her public appearances by illness, after which she turned all her energies to teaching. It was then, in Paris, that she founded the Lamperti School, together with Mme. Lamperti. At the outset, even before I attempt to outline what is meant by the Lamperti method of teaching, I wish to bring students to a realization of the enormity of the task they undertake. Many people—girls particularly—take up the study of the voice too lightly. Very few would-be artists know what they are about to tackle when they go into it. They jump into it without realizing the magnitude of the thing or the difficulties they will have to contend with. A girl will go to a teacher and say, "Oh, I want to be an opera singer!" Then, when the study, the hard labor, becomes irksome, she will leave a conscientious teacher and call in some one to polish her up a bit, while deluding herself into believing that she is learning to sing. No already cultivated talent is given to anyone. There are two classes of students—one who wish to learn, and one who wish to be flattered. A noted teacher told me once, "They want to sing. Let them sing!" They want "pieces" almost before they know how to open their mouths, and they want to go about before the public before they know what their instrument is. But that is not the way to learn the art of singing. It takes a long time to learn an art—and a great deal of stamina. Francesco Lamperti was the greatest exponent of the true Italian method of singing in the last century. Lamperti maintained that for the successful cultivation of an art which is by no means the easiest, more is required than natural gifts. There is need beside of a constant, deep, and serious study of respiration and correct pronunciation. So great indeed is the importance of the proper method of respiration, that the old Italian masters used to say that the art of singing IS the art of breathing. There are three kinds of respiration, or emission of the voice—the diaphragmatic or abdominal; the lateral or costal; and the clavicular. The first takes place at the base of the thorax, and is distinguished by the contraction of the diaphragm, the thorax and shoulders remaining in complete repose. The second takes place in the lateral and anterior part of the thorax, and is recognized by the displacement of the ribs and lower part of the breast bone. The third takes place in the upper part of the thorax, and is effected by raising the upper portion of the breast bone, the shoulders, and the clavicles. Abdominal respiration is the sole kind that should be employed by singers, for it is the only one of the three that allows the larynx to remain in a natural and unconstrained condition. The greatest attention must therefore be paid to the attainment of a perfect system of breathing. 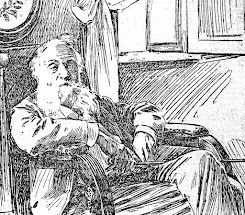 Another most important matter, which I commend to the pupil's earnest attention, is, after taking in breath, to keep mouth and chin perfectly motionless throughout the exercise which he sings upon that breath; it is from neglect of this study that so many defects arise such as slurring, singing out of tune, changing the color of the voice, etc. Moving the mouth is a bad habit into which it is very easy to fall, and it must therefore be carefully guarded against. A singer who indulges it, even though endowed by nature with splendid means, will never rise above mediocrity, because it prevents him from putting forth his best powers. Great attention, too, must be paid to avoid noisy breathing, which injures the singer and produces a disagreeable impression upon the listener. It is dues to a forced sense of breathing, which is unnecessary. The principal defect or fault with singers is the misunderstanding of the control of breath. To sing MEANS control of breath. Now, to control that, the pupil must first understand it, and it is the most difficult thing to understand. It means a POISING of breath, mostly. That is the essential thing, not filling up your lungs with air. But the student must have some one to show how to put it into practice. The Lamperti method is in direct opposition to the general methods taught by other teachers. They teach voice, while I never touch voice. By direct analysis, we find that singing is a result. You must learn how to direct that cause, in order to get the result, which is singing. I deal absolutely and exclusively with the cause that produces the result. I adhere strictly to the foundation—in other words, the instrument, and how to play upon it so that the pupil knows absolutely what he or she is doing. For the voice is exactly like an instrument, only much more difficult. Other instruments are given to you already made. A singer must first make his instrument and understand it before he can play upon it. That means the control of your singing organs and your breath. Lamperti's definition of the art of singing is, "Self measurement and economy of breath." You must measure your own forces. Learn to know your instrument scientifically, and you will not acquire bad habits. The tremolo, for instance, is absolutely produced by forcing the breath into the voice, or, to put it in other words, by forcing the breath with the voice. Let the breath float. That carries the voice of itself. Those who have an exaggerated tremolo make the mistake of tying their voice to their instrument; thereby, in holding firm to the instrument, they force the voice against it. This produces the tremolo, and in the end smashes the voice. Any study is a mere matter of habit. Get the right habit in singing and you will sing correctly. But know first what that right habit is, and understand it with the mind. It takes a long time to eradicate a defect. But, ah, how easy it is to acquire it! It is, therefore, always easier to begin with those who have not studied before. Those who have usually cling to the ideas they formerly acquired, and are loath to give them up. They try to conform everything new to those previously conceived ideas, with the result that they are not as receptive as beginners. Most teachers teach the voice. I teach how to use it. Most teachers place the voice. The voice is already there. Everyone has a voice, but not everyone has musical talent and intuition. That can be cultivated. Numerous examples have taught me that art can do more than is commonly supposed. Lamperti has trained pupils with good ear but small musical talent, who, after having acquired a perfect system of breathing, have greatly distinguished themselves on the lyrical stage. And he has had young pupils of great musical ability, who with every little voice found sympathetic audiences wherever they went, and after a few years' practice on the stage had so far developed their voices that they were able to sing with success in the principal theaters. On the other hand, a beautiful and powerful voice is useless unless the possessor educates it by the rules of art. He must make himself master of a singing respiration if he desires to employ with profit the gifts bestowed by nature. Otherwise, instead of becoming a good singer, he will be nothing but one of the thousand noise machines which haunt the modern stage. In order that the singer may rise above the dead level of mediocrity, he must be endowed with sound judgment, deep conscientiousness in study, and that seriousness of purpose and firmness of will which are necessary as they are uncommon in those who dedicate themselves to the art. Montesquieu used to say that the more one studies the more one finds the want of study, and as a corollary to those famous words I would add, the less one studies the less one feels the need of study. It is well known that the greatest singers have ever been the greatest workers. To mediocrity, on the contrary, study is the most intolerably irksome thing in the world. I remember a girl coming to sing for Lamperti one day, while I was present in the music room. She had a beautiful voice, and sang and sang, while my old teacher calmly sat there reading a newspaper. When she had finished he looked up, bade her "Buon giorno!" and left his secretary to make the necessary arrangements about coming for lessons. When they had left the room I turned to him and asked, "Maestro, that girl has a beautiful voice. Why didn't you listen?" "Voice?" he roared at me, rolling his bulging green eyes. "Voice" you all have voices. It's here she's lacking!" tapping his head with his pudgy finger. "Voice, my dear, without that, isn't anything!" There are some who called Lamperti a charlatan, because he did not take interest in pupils who were not workers or did not display that interest that he demanded. His point of view was simply practical. That he was a great teacher of singing is undoubtedly true, and every student who applied himself was bound to accomplish much. American students have a great natural disadvantage to overcome, for the American voice is very nasal, very twangy. Like everything else, it is a matter of habit. They say that the French have the most perfect diction, and the Italians the most perfect tone. But there is no necessity of sacrifice either of diction or of tone. If you do not combine perfect diction together with perfect tone, the result will not be perfect production. The Italian throats are open, due to the vowels in the language. They have naturally, therefore, a good solid ground. With German, English or American pupils, I have first the task of teaching them how to open their throats. That corresponds to learning the position in the study of an instrument. The Latin vowels are the fundamentals of all vowels in all languages, and those who can understand them and use them properly without the use of the breath can sing and speak in any language. Consonants should never have any breath or sound on them. They are merely formed by parts of the vocal apparatus the lips, the tongue etc. That is largely what Lamperti means by "self measurement" to know the uses of the complete physical organ of singing and to be able so to measure every part of that organ for all its requirements that the flow of the breath is not interrupted or destroyed. It means measuring the physical organs by which you sing. The rest is all natural. The wrong way is to make it all physical. To tie up the breath with the physical or muscular action. They should be separate. The breath should flow smoothy, should float on the wave of the physical act of singing. Again to quote Lamperti: "To sing you must have common sense, because it's practical. Every science is practical." The trouble with many teachers is that they talk over the heads of their pupils. They will tell a pupil to "Send your voice out there," indicating a corner of the room. How do you send it out? What are going to send it out with? Can the teacher answer that? They talk of effect, not cause. And most pupils are content to swallow everything a teacher says without chewing it. The result is mental indigestion. Lamperti always encouraged me to be very analytical. He always explained everything to me, then would look at me out of the corners of his cold, green eyes, and chuckle. "You didn't get that, eh?" and was surprised when he found that I did get it. Pupils should always be encouraged to ask questions. I tell my pupils that if they work hard enough they will show what the Lamperti method means. It never tires the voice. It gives to it a longevity that is remarkable. At the time we founded the Lamperti school I met a very old lady, a famous contralto who had been a pupil of Lamperti at the Milan conservatory in the '60's. She came to see us one day, being naturally interested in the school. I asked what she could tell my pupils about the great master and his method, and she said, "I'll come and sing for them!" She did, and disclosed a voice so remarkable for its freshness that if you closed your eyes you could see a young girl singing! She told us then that she had worked for many years, and that for three years she had sung nothing but vowels. Not a consonant or a word. But they have not had another Lamperti in the Conservatoire since the old maestro died. A girl came to me a couple a years ago after having studied in Paris for six years. She was all ready for her debut and found she couldn't sing. Her voice, a delicate soprano, had been forced until there was nothing left of it. She she been with me for two years, and us just now beginning to regain the flexibility of her voice. when she gets that she will already have all the musical knowledge and interpretation she learned at the Conservatoire, and which should have come later, after she had acquired absolute control of her voice. Tetrazzini says: "You must never interrupt the flow of the breath." It is the same principle that embodies the Lamperti method. He calls it a "column of air." You must sing on vowels, never on consonants. Simply speak them. Improper or exaggerated diction close the throat. The tongue and lips should be kept flexible. It is the attack on the vowel that sends the voice out, with the machine, the instrument of the voice, held in the proper place. As all of this is a mental operation, the pupil must thoroughly understand, first and foremost, just what that machine is and just how it works. It is a matter of breath and the thought behind it. You cannot make resonance. It is there. The firmness of your muscles and the way you attack the vowel produces resonance. Lamperti used to say: "The most difficult thing is to sing pianissimo, and who cannot sing pianissimo cannot sing. Who cannot pronounce cannot sing. Who cannot sing 'ah' cannot sing." There are three ways of singing "ah." One is with breath forced against it, one with breath held back, and one with the vowel floating easily on the wave of the breath. Needless to say, the last is the only correct way. Breath control is the motor power that directs the force of the voice. People are constantly making comparisons between the opportunities for study in Europe and America, usually to the detriment of the latter. Many Americans resent this, yet it is nevertheless a fact that there is much more all, a country devoted principally to commerce. Art here is either commercialized or socialized. It is a wrong attitude to take toward it, Art must be thorough. Then, too, students are not together here. In Europe they live more closely together and their whole time is taken up with their studies. This serious student element is quite lacking in this country. There are more facilities to hear opera in Europe. They have opera all the time, very good opera, and so students can get the routine. Also it is infinitely cheaper. It is within the means of all students. Here they have to sit in the seventh Heaven to hear or see anything, and at that they don't see. Before closing, I want to give a little advice on how to study profitably. To begin with, I advise students never to sing on an empty stomach, nor during the early hours of digestion. The beginner should not practice more than fifteen minutes at a time, or he runs the risk of fatiguing himself. This risk will diminish as he acquires greater proficiency in the art of breathing. It will be well to allow considerable intervals between periods of practice, especially at first. I recommend the constant use of a looking glass, to correct the defects into which it is so easy to fall, of changing the natural position of the face, moving the mouth, and pushing forward the chin, which interferes with the free action of the throat. The pupil must try to cultivate a good central voice; this remark applies to every class of voice, but especially to sopranos and tenors, who must never force their extreme note either above or below, nor in practicing even through them, except on rare occasions. Music should be studied with the mind, not only with the throat, because it is most important to keep the vocal instrument as fresh as possible for stage use. Note: This article is the first in a series of five written for the Musical Courier. You can find the other four here.